The Black Shadow Jr. Tournmanet (Torneo Despedida de Black Shadow Jr.) was held on November 25, 2018 in Arena Nacionalista to honor the Maestro Black Shadow Jr. in his retirement event. 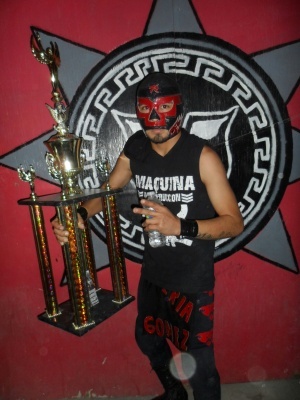 Pequeño Traidor Jr. won the tournament after defeated Fray Diablo I in the final of an eight-man Torneo Cibernetico. 6 Fray Diablo I Pequeño Traidor Jr. This page was last edited on 26 November 2018, at 20:04.